Charlotte Talks: What Will Light Rail Mean For UNC Charlotte And University City? Expectations of transformation. What the Lynx Blue Line extension will likely mean for UNC Charlotte and the University City Area. 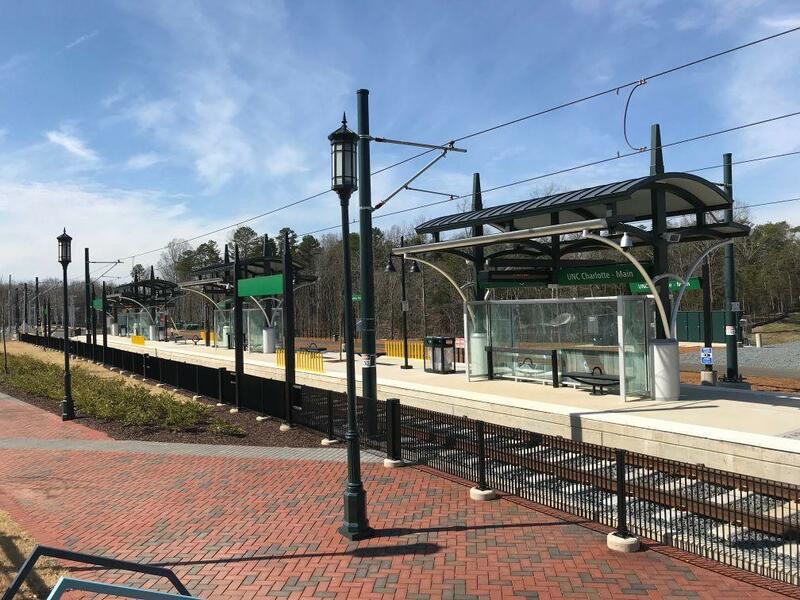 When the Lynx Blue Line extension opens next week, on March 16, it will connect Center City with UNC Charlotte. It’s a project that’s been years in the making, and what UNC Charlotte Chancellor Phil Dubois calls "the most transformational project in the history of the campus." Mike Collins sits down with Chancellor Dubois and local business boosters to talk about the significance of connecting light rail to the campus and find out how the surrounding University City area is preparing for its arrival. That area, intersected by North Tryon and Harris Blvd, has struggled to create a walkable, pedestrian-friendly urban space around the campus. Planners are hoping the addition of light rail will breathe new life and development into the area. Can they expect the same revitalization and economic development that South End experienced? We’ll also ask UNC Charlotte’s chancellor about a few other things happening at the university. He responded to Charlotte’s Amazon snub and defended UNCC's status as a research university. They also just announced the hire of a new athletic director. And some outspoken students and alumni want a name change - they’re asking the university to "drop the UNC." CATS CEO John Lewis shares his "big-idea" plans for the future. Rail to Matthews, Lake Norman and the Airport. Why we need it and how he can get it done. Charlotte Talks: The Lynx Blue Line Turns 10, Has The Investment Paid Off? A look back at the 10-year history of the Lynx Blue Line. It not only proved skeptics wrong, it beat all expectations and we examine how and what the impact of its expansion may be. The Lynx Blue Line extension from uptown to UNC Charlotte opens in just a month. CATS has been running empty trains on the new light rail tracks since January. On Tuesday, a few citizens were the first to try it out, and they're already imagining the possibilities.